When will be Journey with Dylan Dreyer next episode air date? 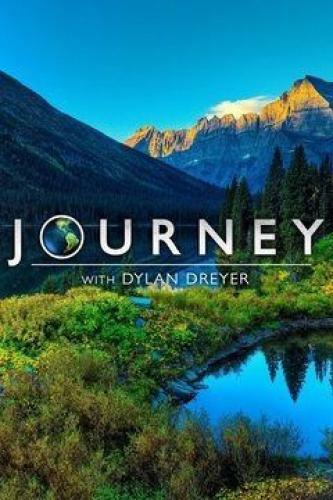 Is Journey with Dylan Dreyer renewed or cancelled? Where to countdown Journey with Dylan Dreyer air dates? Is Journey with Dylan Dreyer worth watching? NBC News meteorologist and co-anchor of the Saturday edition of "Today", Dylan Dreyer, helms this celebration of nature, which utilizes beautiful cinematography to create an up-close-and-personal experience with Earth's wild animals -- from polar bears in the Arctic to black bears in Montana. The show's unique platform brings the excitement of seeing creatures in their natural habitats into viewers' homes, where they can explore natural phenomena -- including the migration of 1.5 million animals across 500 miles of Africa -- they may otherwise never have the chance to experience. Dylan explores the frozen continent of Antarctica, including its wildlife; scientists work to understand climate change; early explorers who made the first attempts to reach the South Pole. Join host Dylan Dreyer as she explores the ultimate rush of Skydiving! Hold your breath - as we jump out of airplanes with professional thrill-seekers and rocket toward the earth with a parachute and a prayer! Later, we'll travel to the great mountain cliffs of Norway to witness the dangerous sport of base-jumping. Finally, we'll recreate a parachute designed by Leonardo Da Vinci over 500 years ago - and even take it for a test drive! Join host Dylan Dreyer on a journey to the coastline of Baja California to witness the awesome power of nature and the amazing wildlife struggling for survival in a harsh land. We'll explore the breeding grounds of the mighty elephant seal, ride alongside migrating blue whales, discover the brightly colored beauty of coral reefs, and dive deep with majestic manta rays and hungry sharks. Journey with Dylan Dreyer next episode air date provides TVMaze for you. EpisoDate.com is your TV show guide to Countdown Journey with Dylan Dreyer Episode Air Dates and to stay in touch with Journey with Dylan Dreyer next episode Air Date and your others favorite TV Shows. Add the shows you like to a "Watchlist" and let the site take it from there.